Since the Church is a creation of God, it will endure forever. Having been founded in Jerusalem, the Church spread all over the world, enlightening it with the light of Christ’s truth and bringing people to God. The first Church of Christendom, the true mother of all other Churches, the Church of Jerusalem was forsaken for centuries. Only when promoted to the rank of Patriarchate at the Fourth Ecumenical Council in A. D. 451, did it win proper respect from other Churches and from the authorities. Numerous turmoil, invasions, wars, revolts, and the yoke of Muslim rule wiped out invaluable records of the history of the Patriarchate. On the other hand, the often brief and inaccurate records that have survived make it extremely hard to reconstruct the genuine history of this cradle of Christianity. 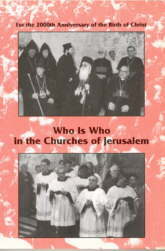 The history of the Jerusalem Church begins from the day of Pentecost. On this day of circa A. D. 30, the tongues of fire came down on Apostles and filled them with the Holy Spirit, enabling them to speak in different languages (Acts 2:4-5). After this, the Jews who gathered in Jerusalem to celebrate Pentecost (Lev. 23:15-16) from all over the world heard the celebrated sermon of Peter about Christ. Around three thousand people joined the Church on that day (Acts 2:41). All this happened on the southwestern hill of Jerusalem, known today as Mount Zion. After the next sermon which Peter and John delivered in the Temple, the number of converted men grew to five thousand (Acts 4:4). The life of the first Christians was concentrated around the Temple, where they were going to pray and to preach Christ every day (Acts 2:46; 3:1; and 5:21,42). They held everything in common (Acts 2:44) and those who were rich supported the poor (Acts 2:45 and 4:34-37). The breaking of bread in homes (Acts 2:46) is an allusion to celebrating of the Holy Eucharist. The proselytizing activities of the Apostles immediately brought about oppression from the Jewish Sanhedrin (Acts 4:1-23 and 5:17-20, 26-40). After the martyrdom of Stephen (Acts 7), a persecution of Christians began in Jerusalem, and everybody except the Apostles left the city for Judea and Samaria (Acts 8:1). Saul, a Pharisee and a student of Rabbi Gamaliel (Acts 22:3), was one of the fiercest persecutors. Since the Apostles had to comfort those who were in prison and serve as a coordinating center for scattered Christians, they stayed in Jerusalem. The dispersed Christians began their preaching of the good news throughout the whole country. The eighth, ninth, and tenth chapters of Acts describe the missionary journeys of Philip, one of the seven deacons of the Jerusalem Church, and of Peter and John. Sometime after 32, the event which changed the whole history of the Church took place: the bloodthirsty persecutor Saul was converted and became the holy Apostle Paul who by his missionary activities turned the Church into the universal means of humankind’s salvation. Around 35, St. Paul made his first visit to Jerusalem to see Peter (Gal. 1:18). He writes that of all the Apostles only Peter and James were there (Gal. 1:19). While other Apostles must have gone from Jerusalem to spread the good news throughout the Roman Empire and visited the city only from time to time, James became the head of the local Christian community (Acts 12:17; 15:13-21; 21:18; Gal. 1:19; and 2:9,12). Clement of Alexandria in his sixth book of Hypotyposes writes that “Peter and James and John, after the Ascension of the Savior, did not struggle for glory, because they had previously been given honor by the Savior, but they chose James the Just as Bishop of Jerusalem.” In the spring of 49, the first Church council was convened at Jerusalem (Acts 15). Whether Gentile Christians should obey the law of Moses and be circumcised were the main matters of concern at this council. The opinion of Peter, Paul, and Barnabas that Gentile Christians should not be forced to obey all the stipulations of the law prevailed, nonetheless, James, leader of the Jewish Christians, insisted upon four stipulations. Since these conditions were accepted by everybody, one may deduce that he, as the leader of the “Mother Church,” enjoyed some prestige and power which he exercised during the council. James the Just is the author of the catholic Letter of James. In his Ecclesiastical History, Eusebius preserves some records of James’ life extracted from Memoranda of Hegesippus. According to these records, James was a righteous man who spent the whole day praying in the Temple sanctuary for the forgiveness of the people’s sins. His preaching brought many Jews to Christ. Having been asked by some Pharisees to persuade people that Christ is not the Messiah, James was placed by them on the battlement of the Temple, where he instead began preaching about Christ’s being the true Messiah sent by God. The Pharisees then went up and threw him down from the battlement. After this, they began to stone him, and one of them took a club and hit James on the head. Thus, this Apostle and the first Bishop of Jerusalem suffered martyrdom around 63. In 1936, during road reparations, a fragment of the Greek inscription which forbade Christians to enter the Temple was found in the street that leads from St. Stephen’s Gate to Gethsemane. This fragment is dated to the first century and is believed to be one of the tablets (signs) displayed at the Temple square. If Hegesippus’ record about James’ martyrdom is correct, the tablet might have been displayed there after his martyrdom in order to prevent the Jews from having any contact with the Jewish Christians. In their turn, deprived of a place of prayer, the Jewish Christians might well have begun to gather in the building (the Upper Room), where the Last Supper took place. In 66, the First Jewish Revolt started. At that time, Simeon the son of Clopas succeeded James as the head of the Jerusalem Church. 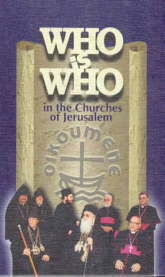 He was chosen the second Bishop of Jerusalem since he was “a cousin of the Savior and of James the Just.” Around 70, the whole Jewish Christian community left Jerusalem for Pella, one of the Decapolis cities, and the rural areas of Gilead and Bashan, having gotten into trouble because of their refusal to support the revolt and because they believed that the second coming of Christ was imminent. In 70, Titus, son of the Roman Emperor Vespasian (69-79), completely suppressed the revolt, destroyed Jerusalem, and burnt the Temple. Having returned to Jerusalem sometime after 70, the Jewish Christian community rebuilt its church on Mount Zion, probably taking stones from the ruins of the Temple in order to transfer some of its holiness to the site of the new sanctuary. Around 106, Simeon, one hundred and twenty years old, was crucified by the Romans because some Jews accused him of belonging to the royal family of David. This story, recorded by Hegesippus and preserved by Eusebius, may be quite true, since after the revolt, the Romans did not want to take any chances and were killing everybody who belonged to the family of David and who might potentially lead a new uprising. In 132, the Jews began a new revolt. A certain Bar-Kokhba became their leader. Many Jews believed that Bar-Kokhba was the Messiah. Therefore, at first, when the revolt had some success, his name was interpreted to mean “the Son of the Star.” However, by 135, when it became obvious that the revolt was a failure, the Jews began to interpret his name as “the Son of the Lie.” At first, the Jewish Christians supported the mutiny, but when Bar-Kokhba demanded to be venerated as the Messiah, they deserted him and he began systematic persecutions of them. In 135, the Roman legions completely smashed the uprising. Jerusalem was destroyed again, and the Roman Emperor Hadrian (117-138) ordered that a new city be built in its place. This city was named “Aelia Capitolina” and the Jews were prohibited from entering it. To make them obey this order, the emperor commanded that images of a pig’s head be displayed over all gates of the city. On the site of the Temple, he built temples to the Capitoline triad, Jupiter, Juno, and Minerva. Instead of paying the tax to the Temple, all those who were circumcised were forced to pay the tax to the temple of Jupiter. On the site of the Tomb of Jesus, a temple of Venus was erected. Eusebius mentions that there were thirteen Jerusalem bishops of Hebrew origin between the death of Simeon (around 106) and the end of the revolt in 135. Unfortunately, we do not know anything about them except the names and the fact that all of them were Jewish Christians. It is perhaps a surprising fact that there were thirteen bishops in thirty years. Some scholars conjecture that since Simeon was too old to discharge his functions, some of the above mentioned bishops might have been his coadjutors. Because of the fact that the Jews were expelled from Jerusalem, there are no records about Jewish Christian bishops after 135. Different opinions exist concerning the lot of the Jewish Christian community after the suppression of the second Jewish revolt. Eusebius writes, “The Church of Jerusalem, first formed of the circumcised, in time was formed of gentile Christians, and its first bishop was Mark of gentile stock.” Church tradition holds that Mark suffered martyrdom in 156. Could his death be an echo of the great persecutions of Christians in Smyrna (155) and Lyons during the reign of Emperor Antoninus Pius (139-161)? Having mentioned Mark, Eusebius gives a list of Jerusalem bishops of whom we know nothing except their names and approximate dates of some of their episcopates. Narcissus (?-201 and 211-212), successor of Dulicanus, is the first bishop of gentile stock of whom we know something. He was born in Greece and elected bishop as a very old man. After the Roman Pope Victor (189-199) had raised the question about the day of Easter celebration, a number of councils were gathered within the Roman Empire to discuss the issue. One of these councils took place in Caesarea Maritima around 196. Along with Theophilus of Caesarea, Narcissus presided over this council. He stuck to the Roman and Alexandrian custom of celebrating Easter on a Sunday, standing up against the practice of the Church in Asia Minor and of the Jewish Christians who celebrated it on the 14th of Nisan. Although Narcissus was temporarily sent away from the council for his views, the council and the Palestinian Church accepted the Roman day of celebrating. Later, in 201, accused by some of his flock of immorality, Narcissus left Jerusalem for a desert, where he spent ten years living an austere life. The accusations of immorality might have been revenge taken on him by those Jewish Christians who believed that Easter should be celebrated on the 14th Nisan and who could not forgive him for his backing of Rome during the council. Narcissus was succeeded by Dios, Germanion, and Gordios. In 211, he appeared in Jerusalem and was requested to reoccupy the See. Since he was not able to fulfill all services of his office because of old age, a certain Alexander became his coadjutor. After the death of Narcissus in 212, Alexander succeeded him as the Bishop of Jerusalem. Alexander (213-251) was one of the most impressive figures of the Jerusalem See. Born in Cappadocia, he was educated in Alexandria under Pantenus and Clement of Alexandria. Having become the bishop of a minor See in Cappadocia, he was imprisoned during the persecution of Emperor Septimius Severus (193-211) around 204. After the death of Severus, he was released from prison and traveled to Jerusalem in order to see the holy places. There he was made the coadjutor to Narcissus. In 213, after the death of Narcissus, he became the head of the Jerusalem Church. Alexander is especially remembered for two things: first, for organizing a great Christian library in Jerusalem and secondly, for helping Origen when he got into trouble because of his feud with Demetrius, the Bishop of Alexandria (189-231). Having probably been educated with Origen in Alexandria, Alexander invited him to visit Palestine in 217. When Origen’s preaching in Caesarea and Jerusalem angered Demetrius, Alexander and Theoctistus of Caesarea wrote a letter to him in defense of Origen and, around 229, they ordained him a presbyter. After this great Bible scholar, theologian, and philosopher had been banished from Alexandria because of this ordination, Alexander and Theoctistus provided him with refuge and allowed him to found a theological school in Caesarea. In January of 250, the Roman Emperor Decius (248-251) issued the edict against Christians. He, one of those Roman emperors who were determined opponents of Christianity, began persecutions within the whole Roman Empire. Both Alexander and Origen were put in prison in Caesarea. 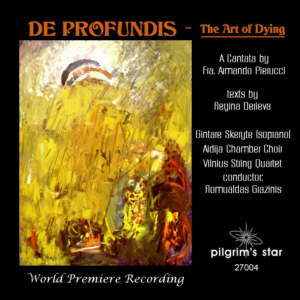 Origen survived his imprisonment and was released after the death of Decius. Alexander died in prison around 251. Alexander was succeeded in Jerusalem by Mozabanus (251-266). His name indicates that he was of Syrian origin. After his death, Hymeneus was elected in his place. At the council in Antioch called in 268 to answer the heresy of Paul of Samosata, Hymeneus was the second highest ranking delegate after Helenus, the Bishop of Tarsus. Another Syrian named Zabda succeeded Hymeneus after his death in 298. In 300, a certain Hermon (300-314) was elected Bishop of Jerusalem. According to Church tradition, he sent missionaries to the city of Hersones (Crimea). One of the missionaries, St. Ephrem, went to preach the good news at the mouth of Danube River, while another, St. Basil, spread the Gospel among residents of Hersones. When both of them suffered martyrdom, Hermon sent three other missionaries there. They continued preaching the Gospel in that region. In 303, Emperor Diocletian (284-305) began a new persecution of Christians. St. Procopius, a deacon, a native of Jerusalem, and an interpreter in the Church of Scythopolis, was among those who suffered martyrdom. Macarius became the Bishop of Jerusalem in 314, after the brutal persecutions of Diocletian had ended and the Church again enjoyed peace granted to it by the Edict of Milan. He participated in the First Ecumenical Council (325) which refuted the heresy of Arius. Sometime after the council, Helena, mother of the Roman Emperor Constantine the Great, came to the Holy Land, where she built several churches. Following the order of Constantine, Helena and Macarius commanded the destruction of the Jerusalem temple of Venus. Beneath the temple, the Tomb of Christ and the True Cross were discovered. After this, the Church of the Holy Sepulchre was built over the site. In 333, Macarius was succeeded by his coadjutor, Maximus. In 335, bishops from all over the Orient came to Jerusalem to dedicate the Church of the Holy Sepulchre. Constantine the Great required them to convene a council, which, in fact, was Arian. At this council, Maximus II (333-348), a confessor of the faith, united himself with the semi-Arian circles. Fortunately, he was able to free himself from their influence before his death in 348. St. Cyril of Jerusalem is another famous Bishop of Jerusalem. Born in Jerusalem around 315, he was ordained a priest between 343 and 345. Then he was made a catechist by Maximus II and preached his famous Catechesis in the Church of the Holy Sepulchre. He was elected bishop in 350. Shortly after his election, a luminous cross appeared in the skies over Jerusalem. It extended from Golgotha to the Mount of Olives and could be seen by everybody in the city. This cross was interpreted to have been a sign of divine approval for his election. Cyril’s episcopate, however, was darkened by his feud with Acacius, the Archbishop of Caesarea. A semi-Arian, Acacius tried to win Cyril over to his point of view. Having failed in his strivings, he involved Cyril in an attempt to determine the exact status of the Jerusalem See. After Acacius had been accused by Cyril of Arianism, he gathered a council which charged Cyril with disobedience (he refused to attend this council) and with wasting Church money (when there was a famine, Cyril sold valuable things from the Jerusalem churches to provide the poor with food). Cyril was deposed and the Arian, Bishop Euthychius (357-359), took his place. When a council of one hundred and fifty bishops was convened in Seleucia in 359, it justified Cyril and deposed Acacius. Cyril was returned to Jerusalem. Acacius then went to Constantinople and persuaded the Arian Emperor Constantius (324-361) to exile Cyril. Acacius’ request was accepted and a certain Arian, Irenaeus (360-361), was placed in charge of the Jerusalem Church. Cyril was able to return only around 361, when Julian the Apostate (360-363) permitted all exiled bishops to come back to their sees. At the same time, using the patronage of the emperor, Jews attempted to rebuild the Temple but this attempt failed. Cyril enjoyed living in Jerusalem and discharging his functions until 367. He even made his nephew Gelasius the Archbishop of Caesarea (367-395). Then a certain Arian, Hilarius (367-378), deposed Cyril and took over his episcopate (probably helped by the Arian Emperor Valens [364-378]). Cyril was exiled again and was able to return only when the Orthodox Theodosius (379-395) became the new emperor. Although many contemporaries of Cyril doubted his Orthodoxy, his writings and the fact that he accepted all decisions of the Second Ecumenical Council (381) absolutely vindicate him. Cyril died in 386 and was succeeded by John II (386-417). John was educated by the Nitrian hermits in Egypt and was a sympathizer of Origen and his ideas. When St. Epiphanius of Salamis began to question the writings of Origen and the teaching of his followers, St. Jerome, who at that time lived in Palestine, supported him. St. Epiphanius ordained St. Jerome’s brother Paulinianus a priest in Bethlehem, despite the fact that there was already another priest there who had been ordained by John. After this, John, who contested the views of St. Epiphanius and was supported in this by St. John Chrysostom, Patriarch of Constantinople (398-404), quarreled with and excommunicated St. Jerome. St. Jerome then began to bring monks from Bethlehem to Jerusalem and infuriate John. Finally, in 397, John and St. Jerome made peace and the bishop began to help St. Jerome in his struggle against Pelagianism. Another remarkable event which took place during John’s episcopate was the reconciliation between the Jewish Christians and the rest of the Jerusalem Church. This reconciliation was carried out by St. Porphyrius and was finalized around 394, when John blessed the altar of the Jewish Christian church on Mount Zion. During his episcopate, St. Gregory of Nyssa came on pilgrimage to the Holy Land. Having been deeply shocked by the perpetual dissension among Christians of the Holy City, he wrote a letter in which he urgently warned Christians against visiting Jerusalem. A certain Praylius succeeded John in 417 and remained bishop until 422. The only thing we know about him is that he consecrated Domnus, who had two wives, as Archbishop of Caesarea. Juvenal (422-458) was probably the most complicated figure among the bishops of Jerusalem. It seems he was ready to support anybody who could be helpful in his main goal: promotion of the Jerusalem See to a Patriarchate. Having demonstrated unparalleled unscrupulousness since the early 430s, he was finally able to become a Patriarch at the Fourth Ecumenical Council in Chalcedon (451). During the preceding twenty years, he was consecutively a Nestorian, Orthodox, Monophysite, and then again Orthodox. A friend of Nestorius (and probably sharing his views), Juvenal deserted him during the Third Ecumenical Council (431) and joined the winning party of St. Cyril of Alexandria. Having become good friends with St. Cyril, after his death Juvenal joined the Monophysites. Since they promised to promote him to the rank of Patriarch, he took part in the so-called “Robber Council” in Ephesus (449). This council was presided over by Dioscorus, the Monophysite Patriarch of Alexandria (444-451), and was nicknamed the “Robber” for several reasons. First of all, St. Flavianus, Patriarch of Constantinople (446-449), was murdered at this council for his Orthodox beliefs. Secondly, St. Leo the Great, Pope of Rome (440-461), was excommunicated for his condemnation of the Monophysites, and Domnus II, Patriarch of Antioch (442-449), was dethroned for his friendship with Nestorius. Thirdly, the resolutions of this council approved Monophysitism. Most of the bishops who participated in the council did not agree with its resolutions and were forced by soldiers to sign them. Juvenal played a key role in the intrigue of the council. In addition to his non-resistance to all the violence, he seized the opportunity of increasing his bishopric at the expense of the Antiochene Patriarchate. Two years later, at the Fourth Ecumenical Council, the fathers began to discuss his behavior. When they threatened to dethrone him for his support of Monophysites, Juvenal escaped censure by restoring Arabia and Phoenicia (some of the territories seized by him in 449) to the Antiochene Patriarchate. The fathers at the council were very touched by this deed. After Juvenal had apologized and admitted that he was fully Orthodox in his beliefs, he was forgiven and promoted to the rank of Patriarch of Jerusalem. The fathers also granted three Palestinian provinces to his newly organized Patriarchate. It is ironic that, having returned to Jerusalem, Juvenal found that a certain Monophysite, Theodosius, had been elected in his place. The Monophysite monks revolted against Juvenal and accused him of “selling the faith,” forcing him to flee Jerusalem for Constantinople. Juvenal returned from the capital with imperial troops who broke up the rebels and restored him to his See. During his patriarchate, a number of churches were built, including one over the tomb of Mary in Gethsemane and another at Bethesda. After the death of Juvenal in 458, he was succeeded by Anastasius I (458-478). It is known that when a certain Basiliscus revolted against Emperor Zeno (474-491), he required all the bishops to sign the resolutions of the Fourth Ecumenical Council. When some monks went to Anastasius and asked him to sign the resolutions, he refused. Was his refusal a symptom of his Monophysite views? After his death, Martyrius of Cappadocia became the Patriarch in 478. Before his election, he had been a monk and established a monastery between Jerusalem and Jericho. In 482, Emperor Zeno issued the Henoticon, an edict initiated by Acacius, the Patriarch of Constantinople (472-488). The purpose of this edict was to restore peace between the Orthodox and Monophysites, but in reality it only stirred up passions and caused the schism between the East and West. Martyrius, following the example of the Patriarch of Alexandria, signed the Henoticon, in opposition to Rome. All the Palestinian monks joined him in this action. Sallustius (486-494) who succeeded Martyrius is known as a reformer of monastic life in Palestine. A friend of St. Sabas, he refuted Monophysites who had turned some Palestinian monasteries into their centers of activity. He appointed St. Sabas over the monks who lived in lauras and St. Theodosius in charge of those who lived in monasteries. Elijah of Jerusalem (494-513) was the first Patriarch of Arabic origin. As with his predecessor, he too had to fight the Palestinian Monophysites. One of the most active heretics was Severus, a monk from Pisidia who spent some time in a Palestinian monastery. Severus, using the patronage of Emperor Anastasius I (491-518), deposed and banished Flavianus, Patriarch of Antioch (498-512), and proclaimed himself the new Patriarch. He wanted Elijah to recognize him, but the Jerusalem Patriarch refused to do so. In 513, Severus succeeded in persuading Emperor Anastasius to depose Elijah and exile him to Aila, a town near the Red Sea. Elijah was never able to return to Jerusalem and died in exile in 518. John III, who was a disciple of St. Sabas, was elected the new Patriarch of Jerusalem in his place. It appears that at first John shared Monophysite views, but St. Sabas and his monks persuaded him to renounce the heresy. When a council was convened in Jerusalem in 518, John, encouraged by St. Sabas, refused to sign the condemnation of the Fourth Ecumenical Council. After John had been put in prison by the authorities, St. Sabas gathered ten thousand monks and brought them to Jerusalem to help John out of prison and to denounce Severus. That same year, after the death of Emperor Anastasius, Orthodoxy was restored within the Byzantine Empire. In 524, Peter became the new Patriarch of Jerusalem. Around 535, the deposed Severus was invited to visit Constantinople by Patriarch Anthimus (535-536). This caused the abbots of several Palestinian monasteries together with a few bishops to go to the capital and ask Emperor Justinian (527-565) to forbid Severus and the Monophysites from living and propagating their beliefs in all the big cities of the Empire. At the same time, Pope Agapitus I (535-536) came to Constantinople, deposed Anthimus for Monophysitism, and consecrated Menas (536-552) as the new Patriarch of Constantinople. Then Menas gathered a council which condemned Severus and forbade his followers to organize meetings in big cities. Peter and some other Palestinian bishops sent their legates to this council. After this, in 536, Peter convened his own council in Jerusalem. He and the other forty-seven bishops again condemned Severus and confirmed the resolutions of the council of Constantinople. Most likely, Peter belonged to the party of the Origenists, and, for this reason, he did not want to appear to take sides during the Origenist disputes that began in Palestine. In 544, Emperor Justinian issued an edict condemning Theodore of Mopsuestia, Theodoret of Cyr, and Ive of Edessa, who supposedly were Nestorians, but who had never been excommunicated and who had died in the fifth century. Peter signed the edict but made a proviso that if it would not be signed by the Pope, his signature would be invalid. Eventually, the emperor forcibly had the Pope sign it. After Peter’s death in 544, a certain Macarius was elected Patriarch. Macarius II (544-552 and 564-574) was made the Patriarch of Jerusalem by the Origenist monks from the New Laura. Emperor Justinian ordered him dethroned, and a certain Eustochius (552-564) was appointed the new Patriarch in his place. Eustochius sent his legates to the Fifth Ecumenical Council, where not only the “Three Chapters,” but also Origen himself, were condemned. Then, in 553, he convened a council in Jerusalem which was attended by all Palestinian bishops. After the council had confirmed the verdicts of the Fifth Ecumenical Council, Eustochius called in the Byzantine army to do away with the monks from the New Laura. The Laura was taken by assault, all monks were scattered or sent to different Orthodox monasteries, and new hermits were brought in. However, this action could not break down the Monophysite and Origenist resistance, and, in 564, Eustochius was deposed and Macarius again became the Patriarch. Although many people suspected him of Origenism, he condemned it before his second election. Macarius died in 574 and was succeeded by John IV (574-593). All we know about him is that he was building an artificial lake in Sinai and received a letter from St. Gregory the Great, the Pope of Rome (590-604). Amos (593-601) became the Patriarch of Jerusalem after John. It seems that he had some problems with discharging his functions as Patriarch. One reason for this may be the continuing problems with the New Laura, where Abbot Athanasius did not want to submit to him. Pope Gregory even had to write a letter to Athanasius, encouraging him to submit and eventually he did so. Amos was succeeded by Isaac (601-609). In 602, a military officer killed Emperor Maurice (582-602) and became Emperor Phocas (602-610). Since the Church did nothing to reject the usurper, but instead anointed him as the new emperor, he probably felt himself indebted to it. This may help to explain the systematic persecutions which he started against the Monophysites in Syria and Egypt. The Monophysites, who enjoyed peace under Tiberius II (578-582) and Maurice, were embittered. Possessed by false zeal, Phocas also ordered his Prefect George to baptize all the Jews of Alexandria, Antioch, and Palestine. While the Jews in Alexandria and Antioch revolted, the Palestinian Jews allowed themselves to be baptized, in spite of the opposition of their leader Jonas. The witless policies of Phocas bore fruit in 611, when the Persians, perpetual foes of the Romans and Byzantines, attacked the Empire. They easily conquered Syria, populated by the Monophysites, and by 614 the whole of Palestine found itself occupied by them. The Jerusalem Patriarch Zacharius (609-631) was taken to Persia as a prisoner of war. He never returned and died in captivity. The True Cross was taken from the Holy Sepulchre as a booty. Nearly all the churches were destroyed. Then the Persians together with the Jews organized a genocide of the Christian population of Jerusalem. Approximately sixty thousand people were killed and their property was confiscated. A certain Timothy the Undertaker was ordered to get rid of the corpses. This true Christian managed to bury around twenty-five thousand bodies in a cave in the Mamilla section of Jerusalem. A few years ago, this place was discovered during construction works. In 610, Heraclius deposed Phocas and was made the new emperor (610-641). In seven years (622-629), he fought a number of successful military campaigns against the Persians. All lost territories were regained and, in 629, the Persians returned the True Cross. On March 21, 630, Heraclius solemnly entered Jerusalem with this Cross. The city lay in ruins. Since there was no Patriarch, Modestus, abbot of the Monastery of St. Theodosius, began to rebuild all the destroyed churches by himself. The Church of the Holy Sepulchre, burnt down by the Persians, was restored as well. Having merited acknowledgment among the Palestinian monks, he was elected the new Patriarch after the death of Zacharius in 631. Modestus died in 634 and was succeeded by Sophronius (634-638). In order to defeat the enemies of the Byzantine Empire, Heraclius had to consolidate all its residents. Upon the advice of Sergius, Patriarch of Constantinople (610-638), he decided to unite the Orthodox and Monophysites on the basis of the doctrine that Christ had only one type of activity — divinely-human. The doctrine received the name “Monoenergism.” In 632, the union between Orthodox and Monophysites was carried out. It was accepted only by the clergy and the simple believers never joined this union. Sophronius, who at that time was a monk in Bethlehem, was the first to protest against both the union and the new teaching. He went to Alexandria to persuade the newly appointed Monothelite Patriarch Cyrus (630-643) to renounce the heresy. Having failed in this attempt, he went to Sergius in Constantinople. Sergius convinced him that, in order to preserve peace among Christians, it was better not to raise this question at all. When Sophronius became the Patriarch in 634, he wrote a confession, the so-called Synodicon, in which he again maintained that Christ had two types of energy and two types of activity. Before this, he wrote a letter to Arcadius of Cyprus, asking for his support. Arcadius convened a council in Cyprus (633-634) to deal with the problem, but the case of Sophronius was not backed by the bishops present there. After this, Pope Honorius I (625-638) sent a letter to Sergius, Cyrus, and Sophronius, where he insisted that all debates about one or two energies in Christ be stopped. All three Patriarchs consented to this, and the Papal decision became a law when it was pronounced by the edict of Emperor Heraclius in 635. Meanwhile, adherents of the newly founded religion of Islam conquered vast areas of the Byzantine Empire. In 636, after the Byzantine army lost the battle at the Yarmuk, the destiny of Palestine was predictable. In 638, Jerusalem fell into the hands of Muslims. Patriarch Sophronius assisted in the unarmed capture of the city. Because of this, Caliph Omar El-Khatab issued a firman, which granted certain rights to the Christians of the Holy Land and to the Patriarchate. The Patriarch of Jerusalem was recognized as the highest authority on all affairs relating to the holy places, Christian communities, monasteries, and convents. The Patriarchate became the mediator between the Muslim authorities and the Christians. However, both the struggle against the Monophelites and the Muslim conquest of Palestine undermined Sophronius’ health, and he untimely died in 638. After the death of Sophronius, the Jerusalem See remained vacant. Stephen of Dora became the Patriarchal Vicar. He was helped by John of Philadelphia (Amman) and the priest Theodorus. At the same time, the Muslims appointed a certain Sergius, Bishop of Jaffa, as the new Patriarch. Because he was a Monothelite, he was not recognized by any of the Orthodox clerics. Stephen of Dora constantly refuted him and the other Palestinian Monothelites. To protect Orthodoxy, he even went to Rome to Pope Martin I (649-655). Following the advice of Stephen, the Pope assigned John of Philadelphia a new vicar and sent letters with his decision to various people asking that they recognized John’s authority. After this, there are virtually no records of the history of the Patriarchate until 705. It is only known that Anastasius (probably the Patriarch) signed the decisions of the Trullo Council in Constantinople in 692. One of these decisions stated that the Jerusalem Patriarchate occupied the fifth place after Rome, Constantinople, Alexandria, and Antioch. Around 640, Jerusalem was visited by Braulion, the Bishop of Saragossa. He mentions the Shroud in which the body of Jesus Christ had been enfolded. Another pilgrim, Bishop Arculf, visited the Holy Land in 670. He speaks about the Lance with which Christ’s side had been pierced. This Lance was displayed in the Church of the Holy Sepulchre. Arculf also mentions the Shroud. From the early eighth century, the Christians of the Holy Land suffered frequent persecutions from the Muslims. Every time a war between the Byzantines and the Arabs started or a radical Muslim ruler decided to convert everybody to Islam or some natural disaster took place, the Christians were blamed and suffered different restrictions, persecutions, and even murders. At the same time, despite persecutions, there began to develop over time a tradition of harmony and mutual understanding on the popular level between Christians and Muslims, who shared the same language, culture, and, as time went on, history. In 705, a monk known as John V (705-735) became the Patriarch of Jerusalem. John was a friend of St. John Damascene and supported him in his struggle against the iconoclasts. He even wrote a few anti-iconoclastic tracts. When John was Patriarch, a fanatical Muslim, Omar II, became the ruler of Palestine. He began to persecute Christians, forbade them to make wine, and forced them to convert to Islam. At that time, some of the Christians suffered martyrdom. John V was succeeded by John VI (735-760). Many scholars believe that John V and John VI were the same person. Theodorus succeeded John VI in 760. When Cosmas, Bishop of Epiphanius (Hama), declared himself an iconoclast, Theodorus joined the Patriarchs of Alexandria and Antioch in condemning him. During Theodorus’ episcopate, another Muslim ruler, Abdallah Ibn Ali, began to persecute Christians and Jews. He commanded that Christians and Jews were to have a certain mark printed on their hands, that all Christian sacred vessels be confiscated, and that the crosses from all churches be torn down. He obliged the Christians to pay extremely high taxes, forbade nocturnal vigils, and was very harsh to the bishops. His brutality forced many Christians to leave the Holy Land. After the death of Theodorus, Eusebius was elected Patriarch in 782, but he died in the same year. Elijah II became the Patriarch in his place. Having been denounced by a monk named Theodorus, he was exiled to Persia by the caliph. After twenty years, he was allowed to return to Jerusalem. When the Seventh Ecumenical Council was convened in Nicaea in 787, it condemned the iconoclasts and restored the veneration of icons. A certain priest named John, and Thomas, abbot of the Monastery of St. Arsenius, signed its decisions for the Patriarchs of Alexandria, Antioch, and Jerusalem. The end of the eighth century was marked with the increasing influence of the Franks in the Holy Land. Charlemagne (754-814), who conquered vast territories and christianized many pagan tribes, created a resemblance of the Byzantine Empire in Western Europe. In 800, Pope Leo III (795-816) crowned him in Rome as the Emperor of the West. The Christians of the Holy Land who were languishing under the yoke of Muslim rulers, unable to support themselves financially, began to look to the West, hoping to receive help. Around 799, George, syncellus of Patriarch Elijah II, sent a delegation to Charlemagne. The delegates presented Charlemagne with symbolical gifts which were supposed to gain the protection of the Franks over the Holy Land. In 800, George became the new Patriarch of Jerusalem. He was succeeded by the deacon Thomas Tamriq in 807. Before his election, Thomas was a monk in the Monastery of St. Sabas, the abbot of the Laura of Souka, and a doctor in Jerusalem. Like George, Thomas also sent delegations to the Franks. It seems that when Charlemagne made a treaty of friendship with the Abbasid Caliph Harun al Rashid of Baghdad (787-809), the delegations began to bare fruit. Charlemagne began to support the Church of Jerusalem financially, and he gave some money to restore the cupola of the Church of the Holy Sepulchre which had been damaged by an earthquake. A rich Egyptian Christian, Bocam, also donated some money. 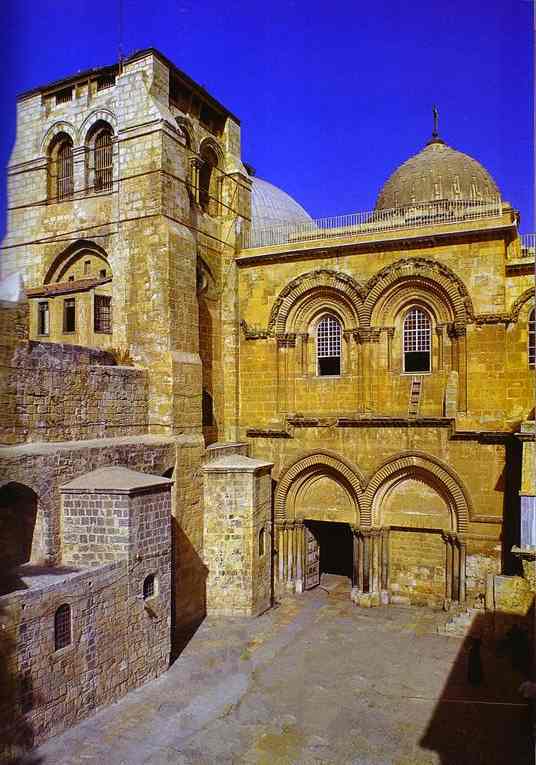 Taking advantage of the Muslims’ having departed Palestine due to a severe infestation of locusts and a famine, Thomas brought cedar and fir wooden beams from Cyprus and restored the cupola of the Holy Sepulchre. When the Muslims returned, they imprisoned the Patriarch and accused him of building the cupola bigger than that of the Dome of the Rock. Having promised to pay one thousand gold coins, Thomas was able to leave prison and to keep the cupola intact. However, as he never fulfilled his promise to pay the gold, his successors were held responsible for his debt. In addition to his construction activities, Thomas was involved in various theological disputes. He wrote a letter to the Armenians in which he explained the Christian faith according to the Fourth Ecumenical Council. Thomas also spoke against the iconoclasts and against the Western belief in Filioque, the teaching that the Holy Spirit proceeds also from the Son. When he died in 821, he was succeeded by Basil (821-842), who was his disciple. In 836, Basil convened a council in Jerusalem. At this council, the veneration of icons was defended once more from the Byzantine iconoclasts. Syncellus Michael, who went to Constantinople with the synodal letter, was put in jail by Emperor Theophilus (829-842), who himself was a murderous iconoclast. In 841, Tamim Abu-Harb, a native of Yemen, marched to Jerusalem with an army of thirty thousand soldiers. They threatened to burn down the city, but Basil was able to buy them off. The following year, after the death of Basil, the Arabs made a certain Sergius the new Patriarch of Jerusalem (842-859). Sergius was a descendant of Mansur, the Byzantine prefect of Damascus who surrendered the city to Muslims without a fight. After Sergius’ death, he was succeeded by Salmoun (or Solomon), who was Patriarch for five years. In 864, Theodosius, a monk from a monastery located some fifteen miles from Jerusalem, was elected the new Patriarch (864-879). In 869, he sent his legate, Syncellus Elijah, to the Eighth Ecumenical Council in Constantinople. Elijah signed the decisions of the council which decreed that Ignatius was uncanonically deposed, and thus, must be reestablished. From the letter that Theodosius wrote to Ignatius, we learn that the Church of Jerusalem then enjoyed peace and tranquillity for a time. From another letter which was sent to Theodosius by Pope John VIII (872-882), it becomes evident that three Palestinian monks were sent to Western Europe to collect alms. Eliljah, another descendant of the above-mentioned Mansur, was made the Patriarch in 879. He might have been the syncellus who was sent to the Eighth Ecumenical Council as a legate. In 881, he sent two monks, Gisbert and Reinard, to collect money in France. Donations were necessary to reconstruct and restore churches which had been damaged by the Muslims. He also had to face the problem of a great debt left by his predecessor Thomas. Elijah turned down the request of the daughter of an old Muslim to pay the remainder of this debt. When the Byzantine Emperor Leo VI (886-912) wanted to marry for the fourth time and asked Elijah and the other Eastern Patriarchs if it was permitted by the Church canons, Elijah answered that there were no objections to his fourth marriage. In 906 in Jerusalem, he consecrated Christodulus as the Patriarch of Alexandria. Nevertheless, the residents of Alexandria refused to admit him their Patriarch unless the prayers of consecration were repeated. Patriarch Elijah III died in 907 and was succeeded by Sergius II (907-911). After Sergius’ death, Leo (Leontius) was elected the new Patriarch (911-928). In 923, the Muslims, angered by several Byzantine army victories and wanting to take revenge on the Christians, destroyed all churches of Ashkelon and Caesarea. However, eventually, Caliph Al Muqtadir (908-932) gave permission to rebuild them. Anastasius (or Athanasius) succeeded Leo in 929. In 937, he was succeeded by a certain Nicholas who was then immediately succeeded by Christopher (or Christodulus) (937-951). The episcopate of Christodulus was hectic. In the beginning, the Muslims rioted on Palm Sunday and, while the Patriarch was celebrating the liturgy inside the Holy Sepulchre, they set it on fire. The Jerusalem Calendar notes on March 24, “We must record with great and full bitterness the martyrdom of men, women, youths, and infants which took place on Palm Sunday.” Then, in Ashkelon, both Muslims and Jews attacked and burnt a magnificent church known as “Mary the Green.” Although the Bishop of Ashkelon went to Baghdad to request permission to rebuild it, the Muslims of the city protested and the caliph never gave his permission. At the same time, there were bright days during his episcopate as well. For example, in 941, Patriarch Christodulus consecrated a certain Isaac as the Patriarch of Alexandria in the Church of the Anastasis, or Resurrection (Holy Sepulchre). In 951, Christodulus was succeeded by Agathon (951-964). John VII (964-966) was elected Patriarch of Jerusalem after the death of Agathon. John was probably one of the most unfortunate bishops of Jerusalem. During his episcopate, Governor Mohammed Ismael Ibn as Sanadji ruled over Jerusalem. He believed that he ought to be presented with gifts on every occasion. In 966, after John had complained about him several times to El Hasan, governor of Ramleh, Mohammed, seeking revenge, stirred up the Muslim mob against John. They came to the Church of the Holy Sepulchre and set it on fire, causing its cupola to collapse. After this, they went to the church on Mount Zion in order to burn it down. The following day, they discovered John taking refuge in the oil cistern of the Church of the Anastasis, or Resurrection. Having murdered him, they burnt his corpse in the yard of the Church of the Holy Sepulchre. Another version of his martyrdom maintains that he was burnt alive because the Byzantine Emperor Nicephorus II Phocas (963-969) had re-conquered the provinces of Cilicia and Syria, and the Muslims wanted to wreak vengeance upon Christians. Rebuilding of the Church of the Holy Sepulchre was the primary concern of John’s successors. After the death of John, Habib of Caesarea (called Abu Sahl) was elected in his place. He took the name of Christodulus II, and his episcopate lasted from 966 until 969. He began to restore the Church of the Holy Sepulchre but was unable to finish it because of his sudden death in Cairo. Ali Ibn Souwar, a Jacobite official who was helping the Patriarch with restoring of the cupola of the Holy Sepulchre, also could not finish his part of the work, because he was killed. Thomas II (969-979) who succeeded Christodulus probably continued the restoration. However, it was only during the episcopate of Joseph II (981-985), that Sadaqah Ibn Bishr, Patriarchal syncellus, was able to complete the renovation. Joseph, a philosopher and a physician, was also a generous almsgiver. Unfortunately, he, like Christodulus II, also died in Cairo. Alexander and then Agapius, of whom nothing is known, succeeded Joseph. In 986, Jeremiah (or Orestus) became the new Patriarch (986-1006?). At the same time, his brother Arsenius became the Metropolitan of Cairo. In the beginning of his patriarchate, Orestus enjoyed tranquillity, being able to influence Caliph Aziz (975-996) through the Christian Vizier ‘Isa Ibn Nastur and his Russian wife who was also Christian. However, when the son of Aziz, Abu Ali Mansur El-Hakim, became the new caliph, everything changed drastically. This fanatic Muslim, who believed himself to be the incarnation of the Deity, began to persecute both Christians and Jews. In 1004, he ordered all Christians and Jews to wear a black turban and a special belt. In 1008, he forbade the Palm Sunday procession from Bethany to the Church of the Holy Sepulchre and prohibited the making of wine. In addition to this, he fired or forced to convert to Islam all Christian officials and ordered both Christians and Jews to wear black robes, ride only donkeys, and display a cross (Christians) and a wooden image of a calf (Jews) in baths. Finally, in 1009, he ordered that the Church of the Holy Sepulchre be razed. The destruction began on September 28, 1009. All the affiliated buildings were destroyed and everything of value was appropriated by the Muslims. In 1006-1007, disputes about the day of the Easter celebration resumed among the Christians of the Holy Land. Patriarch Orestus went to Constantinople and left the supervision of Jerusalem in the hands of the Patriarch of Alexandria. It appears that all the various Christians celebrated Easter on different days. While Egyptian Christians could reach the agreement and unify the day of Easter celebration, Palestinian Christians did not want to approve it. Finally, the Alexandrian Patriarch declared firmly the unification of celebration. Orestus died in Constantinople and was succeeded by Theophilus (1012-c.1020). This Theophilus, who was Bishop of Hibal, was appointed Patriarch by Al Moufarridj Ibn El-Djarrah, the governor of Syria. Al Moufarridj also suggested Christians to rebuild the Church of the Holy Sepulchre. He, however, died shortly thereafter, when an enraged Hakim declared war on him and sent his troops to Syria and Palestine. The son of Al Moufarridj escaped and Theophilus decided that it was also better to flee and hide. When he finally returned to Jerusalem in 1013, he was amicably received by the new governor. After Theophilus’ death, he was succeeded by Arsenius, who himself was succeeded by Jordan. Sometime after 1020, Hakim appointed a Greek priest Nicephorus the new Patriarch of Jerusalem (c. 1020-1048). After his appointment, Nicephorus went to Egypt, where he informed Hakim about the persecutions of Christians in the Holy Land and asked protection for himself and all other Christians. It is not clear why, but Hakim provided the protection. In 1030, a peace-treaty was made between Emperor Romanus III Argyrus (1028-1034) and Sultan Daher, the son of Hakim. Nicephorus continued rebuilding the Church of the Holy Sepulchre. He was helped by a certain Joannicus, who, in the Greek lists, is found as the successor of Nicephorus. 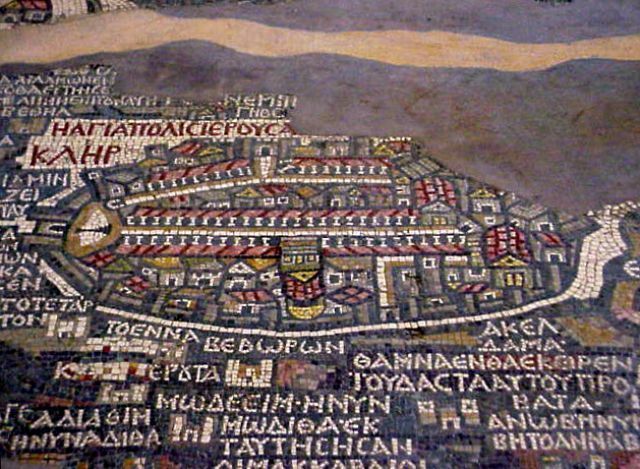 In 1034, an earthquake partially destroyed the city of Jerusalem and the Church of the Holy Sepulchre was probably also damaged. In 1042, Emperor Constantine VIII Monomachus (1042-1055) rebuilt the Church of the Holy Sepulchre, since, as William of Tyre writes, his predecessor could not do this. It seems that at that time Jerusalem was visited by many Western pilgrims, and St. Simeon, a Benedictine monk, worked as a pilgrims’ guide. The West also began to support the Holy Land financially, donating alms and providing it with income from properties in Europe. In 1063, a Christian hospice was founded in Jerusalem. In 1080, this hospice was named the Hospital of St. John. Later, it became the headquarters of the Order of the Knights of St. John. Sophronius II succeeded Joannicus. We know that he received a donation from Rouerque for the Church of the Holy Sepulchre in 1053. In 1054, the event which changed drastically the ensuing history of the Church took place. Papal legates and Patriarch Michael Cerullarius of Constantinople (1043-1058) excommunicated each other, thus bringing about the Great Schism between the Churches of East and West. Unfortunately, there are no records about how the Patriarch of Jerusalem treated this rupture. Patriarch Sophronius was succeeded in Jerusalem by Mark II. In 1072, the Turkish Seljuks conquered the Fatimids of Egypt and the Holy Land came under Seljuck rule. Euthymius I, who went to Constantinople to visit Emperor Alexius I (1081-1118) in 1084, was elected Patriarch after Mark. Simeon II (1092-1099) succeeded Euthymius I. When the Turks began a new persecution of Christians in the Holy Land, the West would not stand for it and Pope Urban II (1088-1099) declared the First Crusade to liberate the Holy Land. On Friday, July 15, 1099, Godfrey of Bouillon liberated Jerusalem and heart of the Christian world, the Church of the Holy Sepulchre.